Each year sees e-commerce sales records in Poland increasing, which contributes to changes in consumer behavior. Completing orders efficiently plays an increasingly important role, and understanding consumer’s needs and their satisfaction becomes the supreme role of e-enterprises. The aim of the study is to present selected aspects of logistic customer service and make its evaluation from the perspective of created values. 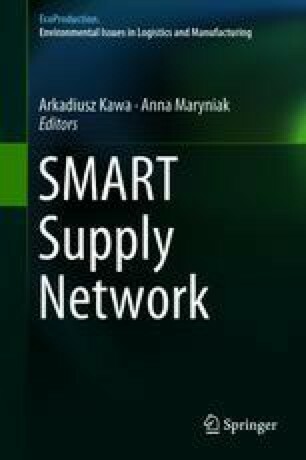 The source basis of the study is the available subject literature and the author’s own research on the perception of logistic customer service of individual e-commerce in Poland. The research was carried out using a questionnaire, posted on the Webankieta.pl platform. 248 feedback questionnaires were obtained. Although they do not have a generalizing character, their illustrative nature determines their practical usefulness. The value is interpreted differently in the literature and is currently an important subject of reflection. Its important meaning that plays a major role in achieving the company’s business goals and this is clearly emphasized. Providing customers with value enables economic entities to achieve benefits in terms of both financial and reputational aspects. Thus, by rationalizing processes, entities meet the expectations of their clients. Gemius. (2016). E-commerce w Polsce 2016 [E-commerce in Poland 2016]. https://ecommercepolska.pl/files/9414/6718/9485/E-commerce_w_polsce_2016.pdf. December 1, 2016.